As much as people don’t want to admit, they spend a lot of time in the bathroom. Whether you think about it or not, you typically want to go into the bathroom when it’s warm so that you can get into the shower without freezing your buns off. Choosing a bathroom heater can be crucial to making sure that you are satisfied in your space. There are certain pros and cons that you should consider, and we are going to make sure we check off all of your wants and needs. What type of bathroom heater is best? Typically, when choosing a heater for your bathroom, a convection or air-forced heater is best. 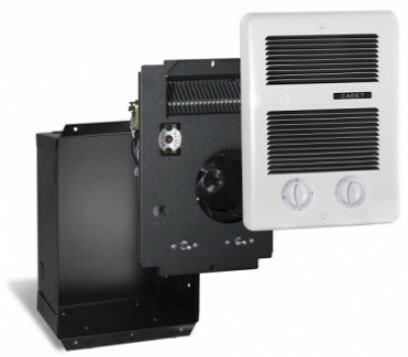 These wall or fan heaters are generally wall or ceiling mounted for the most convenience and usability. They can also be surface mounted into the floor if you are using certain types of convection heaters. 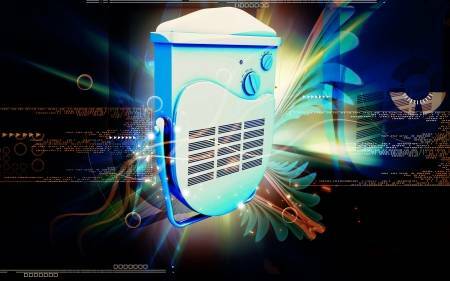 What are the benefits of a bathroom heater fan? A bathroom ceiling fan is generally silent or quiet when in use. Some bathrooms can make the sound of the heater echo, but overall the sound isn’t disturbing. 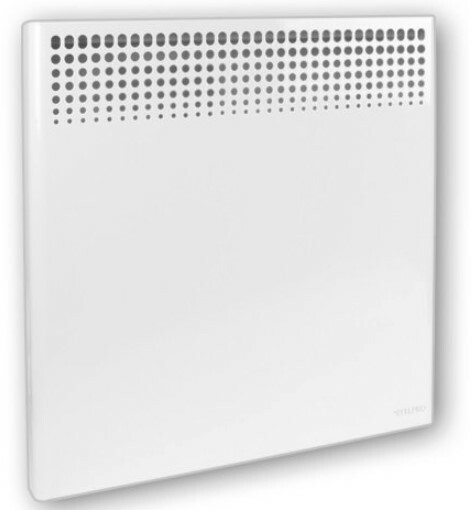 A bathroom wall heater typically comes with a built-in timer to help regulate the temperature in a bathroom. A lot of these timers last up to 60 minutes and are easy to reset. In addition, an electric bathroom heater or fan heater is often controlled by a thermostat. The thermostat can sometimes be sold separately, but often are built-in to help control and regulate bathroom temperatures. A bathroom fan heater is easy to install, into both a wall and ceiling, and need to be recessed into a wall at least 4 inches above the floor. Do I need to know any specs about a heater before installing it? Make sure that you are aware of a few specifications, including amperage, voltage, and square footage of your bathroom, before buying a heater! Voltage (V): An electromotive force or difference in electric potential that is measured in Volts. Often, you will need a 120V or 270V circuit for your bathroom heater. 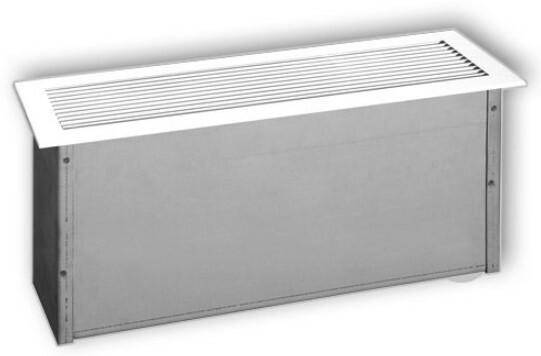 Some heater will have multiple voltages to match your room size. Square Footage (Sq. Ft.): Know how large your bathroom is in size to know which size bathroom wall heater or fan heater you need to create an even heat throughout the space. What are the benefits of bathroom and convection heaters? 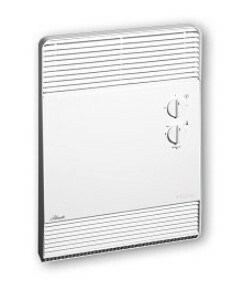 A bathroom heater fan removes moisture and odor from the air! Is a bathroom heater light included? A bathroom heater light is not always included, but often is encompassed in a bathroom ceiling fan. This is beneficial so that you only have to flip one or two switches to turn everything on. Keep in mind, some fans and heaters may be wired separately. If a light is included in the fixture, it may be wired separately as well. A bathroom heater is highly beneficial and easy to install and easy to use. Many bathroom heaters are surface mounted and out of the way, and they often include timers and thermostats for the most optimal temperature output. So, what are you waiting for? Shop HomElectrical’s selection now! Which bathroom heater would you buy? Would you surface mount it to the wall or ceiling? Let us know what you guys think in the comments and be sure to connect with us on Facebook and Twitter!